BBQ Concepts of Las Vegas, Nevada is your #1 source for custom outdoor kitchens and fire features. We’re your one-stop-shop for all the industry-leading professional barbecue grills and outdoor kitchen components. We provide cutting-edge solutions for your outdoor living area. 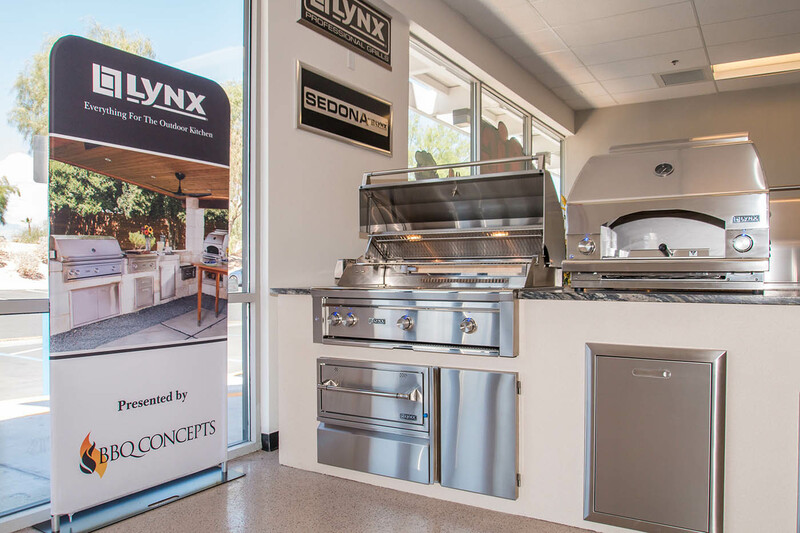 If you’ve been considering an outdoor living area project and would like to learn more about our custom outdoor kitchen design & manufacturing services, we invite you to stop on into our convenient location here in Las Vegas, Nevada. Our team of professional design consultants will first introduce you to your options. Half the fun is learning about the remarkable outdoor kitchen products and designs that available to you here at BBQ Concepts of Las Vegas. Our primary objective is to build you the outdoor kitchen you’ve always dreamt of owning. We’re in the business of creating astonishing outdoor living environments that are perfect for entertaining both family and friends. Trust us when we say that once we’ve built you an outdoor kitchen & living area, your loved ones will be begging to hang out at your home for the next get together or family function. That’s the BBQ Concepts difference! We design with your social life in mind. We create elegant and affordable outdoor kitchens at a realistic price. We invite you to sign-up for one of on-site outdoor kitchen design consultations today! We’re sure that once you go BBQ Concepts, you’ll never go back. We don’t just sell outdoor kitchens, fire features, grills and components. Our team lives and breathes the grilling life. We live by the flame and cook by it too. We carry some of the top seasons, spices, pellets, rubs, sauces and accessories. We’re building a community of die-hard grill gurus in the Las Vegas area. We offer professional chef instructed classes by Chopped Champ Chef Phillip Dell. If you’re looking to learn a few expert barbecue grilling tips, we invite you to sign-up for one our future classes. We’ll help you up-your-grill-game. Thanks for making BBQ Concepts the best barbecue store in town.